(density 50 кg/m³, compression 1,60 Kpa). 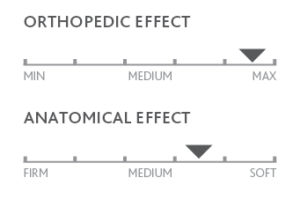 h = 76 mm. (density 50 кg/m³, compression 5,35 Kpa). h = 51 mm. (density 50 кg/m³, compression 3,40 Kpa). h = 78 mm. (density 50 кg/m³, compression 4,00 Kpa). h = 95 mm. Thermostatic fabric Intence (Velvet Blanco). Composition: 88% polyester, 12% viscose. Тhermoregulation. Material Memo Body Ikon® sewn into the case. Instant comfort. DIAMANT FIRM is a ‘VIP’ class mattress with a less moderate comfort level that maximizes high orthopedic and anatomic effect and thermo-regulates the surface of the mattress for comfortable sleeping. 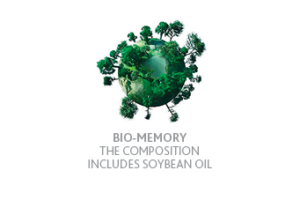 The block of the mattress is made using Ocean Wave technology that brings maximal comfort for users during sleep and rest. 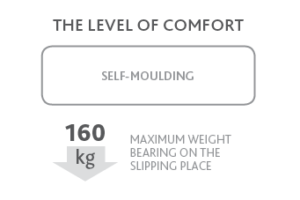 The exclusive design of the block lets the mattress to adapt to the physiological features of the human body. Due to this characteristic, your spine assumes the correct position, which leads to correct blood circulation in your body and to quiet sleep and rest. 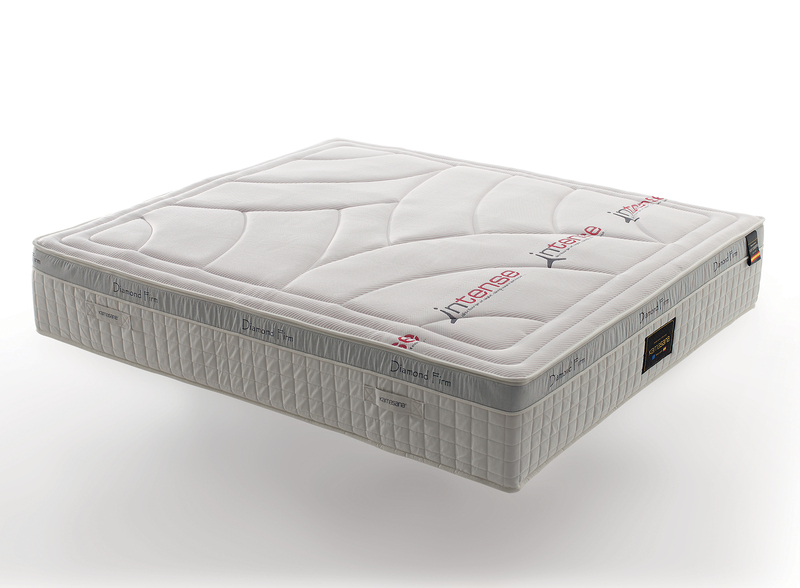 Moreover, the block of this mattress has seven anatomic zones, which adapt the mattress to the places with significant weight loads, which eventually provide you with maximal comfort, regardless your weight and height. 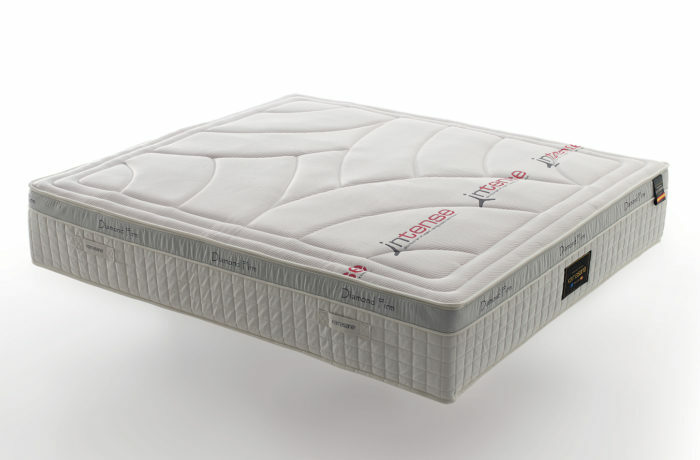 The cover of this mattress is thermostatic made from INTENCE fabric with high breathability and moisture permeability, which provides you with comfort microclimate on the whole surface of the mattress (you sleep on a dry surface and with comfort all the night).